Accessibility testing is a type of systems testing designed to determine whether individuals with disabilities will be able to use the system in question, which could be software, hardware, or some other type of system. Disabilities encompass a wide range of physical problems, including learning disabilities as well as difficulties with sight, hearing and movement. Visual impairments Such as blindness, low or restricted vision, or color blindness. User with visual impairments uses assistive technology software that reads content loud. User with weak vision can also make text larger with browser setting or magnificent setting of operating system. Motor skills Such as the inability to use a keyboard or mouse, or to make fine movements. Cognitive abilities Such as reading difficulties, dyslexia or memory loss. Adhoc testing is an informal testing type with an aim to break the system. This testing is usually an unplanned activity . It does not follow any test design techniques to create test cases. In fact is does not create test cases altogether! This testing is primarily performed if the knowledge of testers in the system under test is very high. Testers randomly test the application without any test cases or any business requirement document. 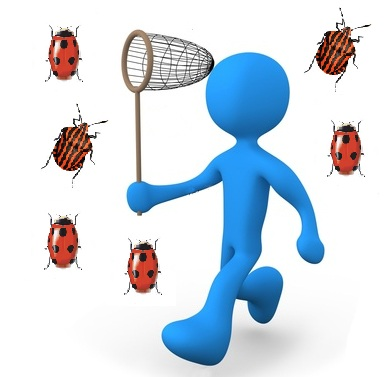 Adhoc Testing does not follow any structured way of testing and it is randomly done on any part of application. Main aim of this testing is to find defects by random checking. Adhoc testing can be achieved with the testing technique called Error Guessing. Error guessing can be done by the people having enough experience on the system to "guess" the most likely source of errors. This testing requires no documentation/ planning /process to be followed. Since this testing aims at finding defects through random approach, without any documentation, defects will not be mapped to test cases. Hence, sometimes, it is very difficult to reproduce the defects as there are no test-steps or requirements mapped to it. Adhoc testing can be performed when there is limited time to do elaborative testing. Usually adhoc testing is performed after the formal test execution. And if time permits, adhoc testing can be done on the system).Adhoc testing will be effective only if the tester is knowledgeable of the System Under Test. Buddy Testing: Two buddies, one from development team and one from test team mutually work on identifying defects in the same module. Buddy testing helps the testers develop better test cases while development team can also make design changes early. This kind of testing happens usually after completing the unit testing. Pair Testing: Two testers are assigned the same modules and they share ideas and work on the same systems to find defects. One tester executes the tests while another tester records the notes on their findings. 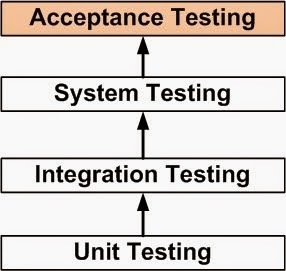 Monkey Testing: Testing is performed randomly without any test cases in order to break the system. Following best practices can ensure effective Adhoc Testing. Testers should have good knowledge of the business and clear understanding of the requirements- Detailed knowledge of the end to end business process will help find defects easily. Experienced testers find more defects as they are better at error guessing. Key business modules should be identified and targeted for adhoc testing.. Business critical modules should be tested first to gain confidence on the quality of the system. All defects need to be recorded or written in a notepad . Defects must be assigned to developers for fixing. For each valid defect ,corresponding test cases must be written & must be added to planned test cases. These defect findings should be made as lesson learned and these should be reflected in our next system while we are planning for test cases. The advantage of Adhoc testing is to check for the completeness of testing and find more defects then planned testing. The defect catching test cases are added as additional test cases to the planned test cases. Adhoc Testing saves lot of time as it doesn't require elaborate test planning , documentation and test case design.